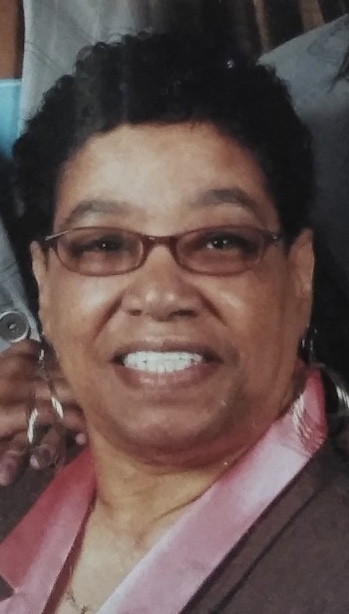 Talithea Mitchell McAllister, age 73, passed away peacefully at Fort Sanders Regional Hospital on April 11, 2019. She graduated Austin High School in 1963. Preceded in death by her parents, Lillian and Eugene Mitchell, Sr.; brothers, Eugene Jr. and John Mitchell; mother-in-law, Willie Mae Anderson McAllister; father-in-law William Daniel McAllister and brother-in-law, Ralph McAllister. Left to cherish her memory are husband, William McAllister, Sr; daughter, Nina (Rev. Clark) Turney of Harrison, TN; son, William (Carla) McAllister, Jr. of Knoxville, TN; brothers, Frank, Sr. (Dorothy) and William Mitchell; sisters, Cynthea and Vickie (George) Jett, all of Knoxville, TN; brother-in-law, John Alvin McAllister of South Carolina; sisters-in-law: Eddie Mae McAllister of Michigan and June Mitchell of Knoxville, TN; grandchildren, Brittani and Jasmine McAllister of Knoxville, TN; Megan and John Turney of Harrison, TN; adopted grandchildren, Shyanne Collins of Harrison, TN and Sasha Abrams of Knoxville, TN; great grandchildren, Nah'Lea, Aidan, Sa'Draya, and Malaysia; devoted cousins, Jewel Sommerville of Akron, Ohio, and Mildred Jackson of Chattanooga, TN; devoted friend from childhood, Rose Tate of California. Wednesday, April 17, 2019, the family will receive friends from 5:30 p.m. to 6:30 p.m. with a Homegoing Celebration service to follow at Foster Chapel Baptist Church, 2101 Ault Road, Knoxville, TN. Pastor Joseph Tolbert, officiant and Reverend Clark Turney, eulogist. Flowers may be delivered to the church the day of the service. Professional arrangements entrusted to Patton Funeral Home, Brian L. Buckmon, LFD 1-800-824-8283 or www.pattonfuneralhome1962.com.